Mr.Somranjam Burh, a tribal of village Loaram of the Nuagaon block of the Sundargarh district in Odisha died out of cancer. After his death, his wife Mrs. Naimi Burh and their four children was thrown from his house by his parents as they felt these children will be the future claimant on the ancestral property. Naimi and her four children struggled to survive. She went to work for daily wage on other’s field, but got only food as wage. She did not get any benefit from the government or from the village society. One day she decided to sell her one of her child to protect her other children, who were screaming in hunger when a person proposed her for purchasing a child. However, that person wanted to take the youngest child who was only one year old. It was difficult for Naimi to give the youngest one, rather she wanted to give away her eldest son who was 6 years old and was able to perform his own work. 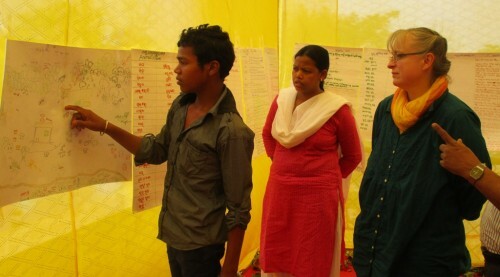 During that time, DISHA came to know about the situation in a village meeting. 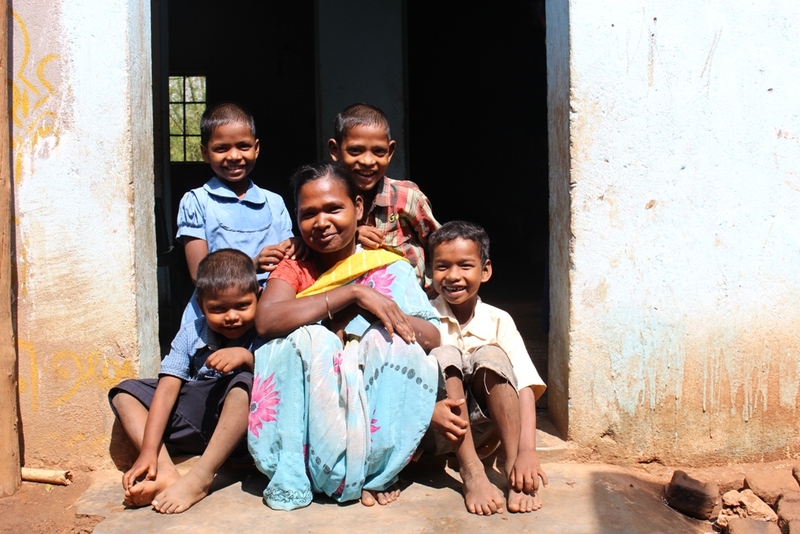 After discussion in the village meeting, Naimi Burh and her children were kept in the neighbour’s cow shed after initial fooding, clothing and medicinal support was provided to them by DISHA. She was kept in the village to fight back for their rights over the ancestral property of identity, nativity and land, which is their survival right. She, along with the villagers informed about the various immediate government services and schemes on this situation as their entitlements. Naimi getting the information from “DISHA” about various services of the government and the moral support from the village group, approached the head of the local self governing bodies and block development officer and claimed her entitlements, like subsidised rice, widow pension, wage guarantee card, housing support, etc. in six months with regular follow up by her along with the village group. 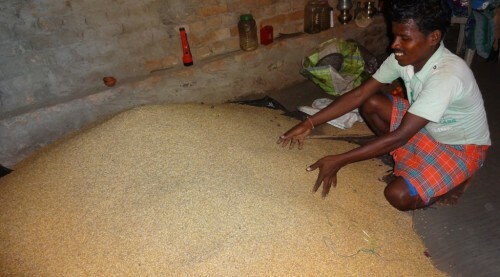 Looking at the pressure of the village group and continuous demand of Naimi, the head of the local self governing body provided her the subsidised rice of 25 kgs per month at a rate of INR 2 per kg., issued the wage guarantee card under which she is entitled to get 100 days of work and recommended her name for housing scheme and widow pension to the block office. The block office with the demand of Naimi and facilitation of the DISHA staff, provided her support for construction of house with INR 75,000. The widow pension is at the final stage of approval from the government from where she will get INR 300 per month. The elder three children are admitted in a government primary school where they are getting mid day meal and the youngest one is going to ICDS centre where he is getting supplementary feeding and health check up support. Her two elder children were linked with integrated child protection scheme of the government from where they were getting INR 2000 per month for each child.